Control of weeds has always been a major economic cost in subtropical fruit production because of favorable climate that allows for weed germination and year-round growth. The use of chemical weed control has increased dramatically due to labor costs, equipment costs, product costs and availability, the shift to more narrowly spaced tree rows, and installation of low volume irrigation systems that prohibit the operation of mowing or tillage equipment under the tree canopy area (Futch 2001). However finding herbicides that are labeled for certain subtropical crops can be a bigger challenge. UC Weed Science has updated the Subtropical Crops herbicides usage chart for California growers (Fig. 1 Attachment below). It also seems that preventive programs are most frequently overlooked as a method of weed control. 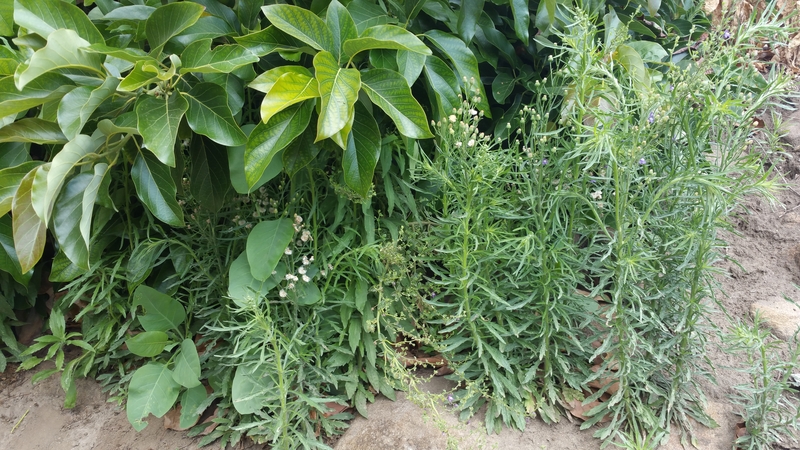 Preventive programs entail the use of such practices as sanitation, spot spraying, or hand labor to prevent the source of weed infestation (seed and/or vegetative) from widespread dissemination throughout a given area. By removing the undesirable weed species prior to seed development, dissemination by wind or mechanical transport on equipment can be effectively delayed. Weed control programs will vary from location to location within the state and can even vary within a given site based upon specific conditions such as soil type, variety, method of herbicide application, and the presence of specific weed species. Before herbicide application, growers should survey the grove and determine the stage of growth and type of weeds for that given location. Many products do not provide control of emerged species, thus requiring the application of more than one product to provide both preemergence and postemergence protection (Futch 2001). Rotation of soil-applied herbicides should also be considered to prevent the buildup of resistant annual and perennial weeds. The resistant species may not be evident initially; however, if the same herbicide and cultural program is maintained, over time their populations may build up until they infest the entire grove and become the dominant weed species (Jordan et al 1992). 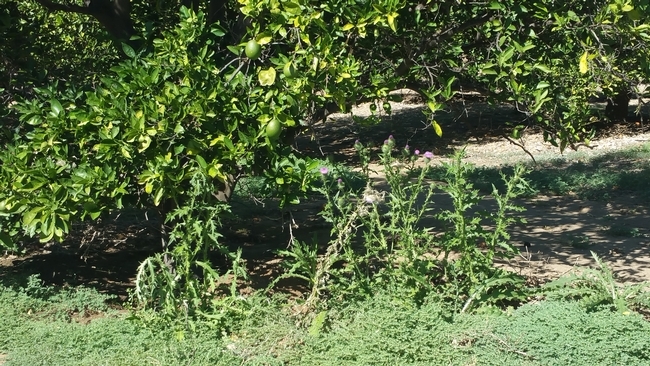 Herbicide damage to foliage and fruit has also been noted when herbicides were applied under windy conditions or use of improper equipment allowed the materials to contact areas other than the weeds or soil. Please make sure to follow the label's direction and use caution. Attached below is a chart listing herbicides registered for avocado, citrus, date, kiwi, fig and pomegranate.